Hide this Project (Vasudha Etasha) Discover properties in other projects by hiding the ones that doesn't interest you. You won't see them in your searches further but you can unhide anytime later. Hide this Dealer (Ganesh Tannu) Discover properties by other dealers by hiding those whom you have already spoken to. You won't see them in your searches further but you can unhide anytime later. 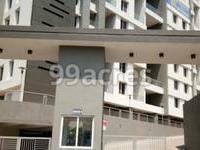 Vasudha Etasha in Jijai Nagar, Pune by Vasudha Landmarks And Devikkesh is a residential project. 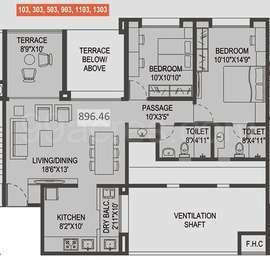 The size of the Apartment ranges in between 894.0 sq.ft. 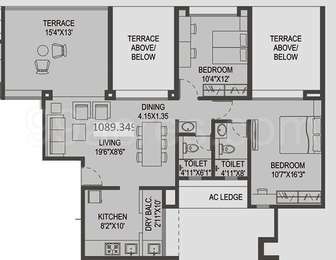 and 1378.0 sq.ft. The size of the Studio Apartment ranges from 296.0 sq.ft. to 327.0 sq.ft. Price starting from Rs. 90.00 Lacs. Vasudha Etasha offers facilities such as Gymnasium and Lift. Bank loan approved from HDFC home loans, ICICI, State Bank of India, Corporation Bank and LIC Housing Finance Ltd. It is a ready to move project with possession offered in Jan, 2017. Vasudha Etasha has a total of 1 towers. The construction is of 14 floors. An accommodation of 96 units has been provided. Vasudha Etasha brochure is also available for easy reference. Where is Vasudha Etasha located? Jijai Nagar, a prime residential locality for house seekers in Pune. What is available flat size in Vasudha Etasha? Flat sizes in the project range from 893.0 sqft to 1377.0 sqft. What is size of 2 bhk in Vasudha Etasha? 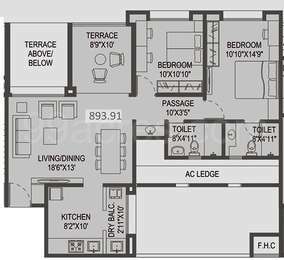 The area of 2 BHK apartments ranges from 893.0 sqft to 1208.0 sqft. What is the 3 bedroom size in Vasudha Etasha? The area of 3BHK units in the project varies from 1348.0 sqft to 1377.0 sqft. What is the 2 bedroom price in Vasudha Etasha? The project offers 2 BHK units for Rs. 9000000. How many units are there in Vasudha Etasha?There are 96 units available in the project. @shankar If you have a property available for sale, you can post your advertisement here: http://www.99acres.com/do/advertiseproperty. For paid packages offered by 99acres, please refer to this link: http://www.99acres.com/do/buyourservices You may write to us at feedback@99acres.com or call us at our Toll Free # 1800 41 99099 (Monday - Saturday 9:30AM to 6:00PM IST) for further assistance. Answer to my question is still awaited. How much long is this project from Chandani chowk i.e. 100 metres or 1 to 3 kms. or more?